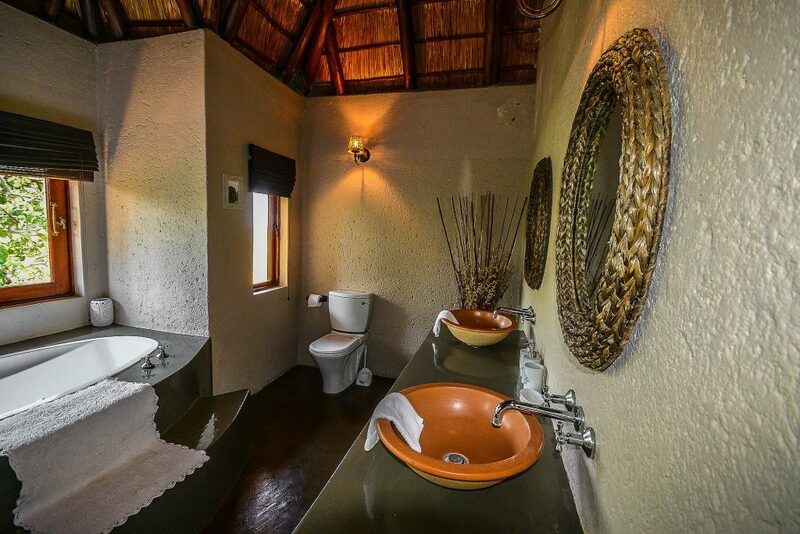 Private Kruger safari with accommodation in bush villa and secluded bush camp. 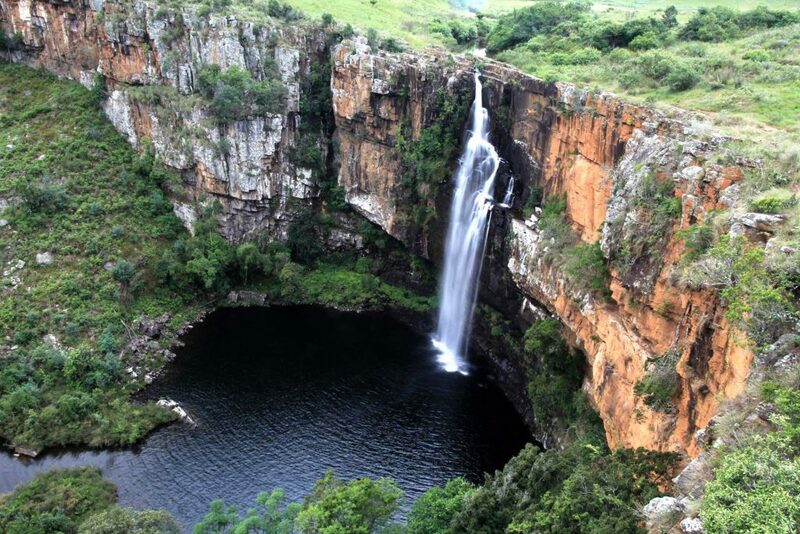 A short but intensive and exclusive experience in the legendary South African Lowveld. 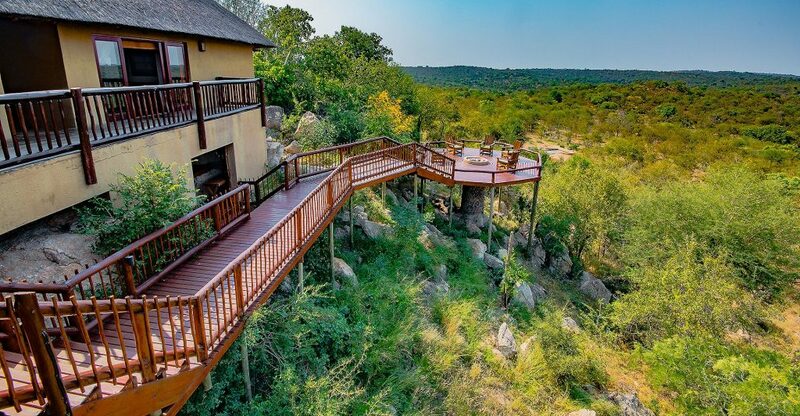 Stay at a luxury bush villa in a private game reserve open to Kruger National Park. Enjoy the infinity pool and the breathless view from the viewing deck. Get spoiled by your private Italian chef. 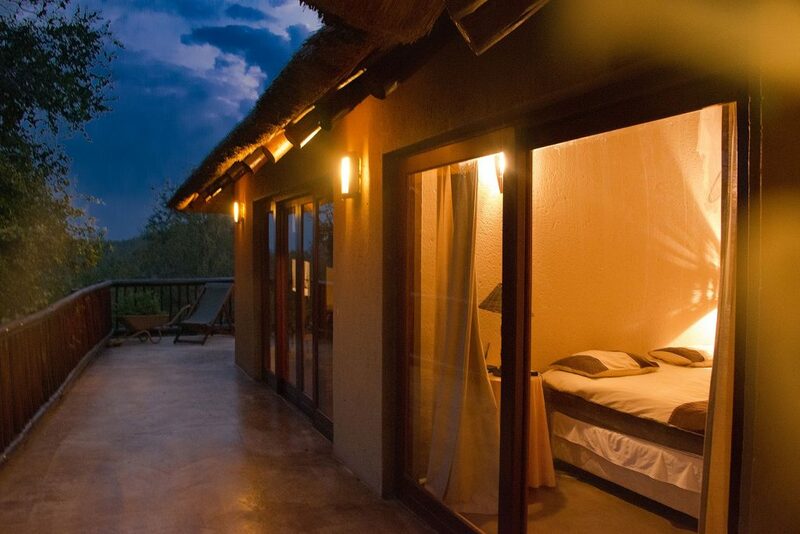 And finally complete your journey with a bush camp experience in the wild Manyeleti Game Reserve. 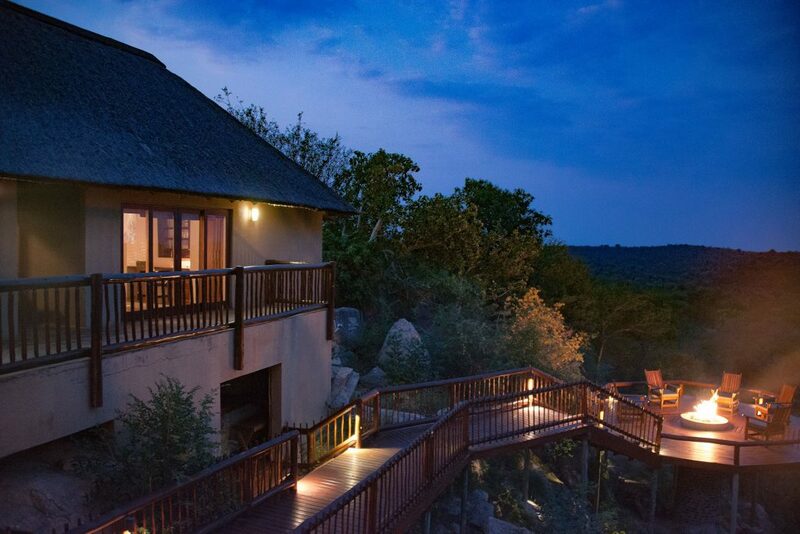 The breathless view from the boma of the Elephant Game Lodge. The lounge of the villa. The bar corner in the lounge of the villa. A bathroom with bath tub. all bedrooms have shower as well. 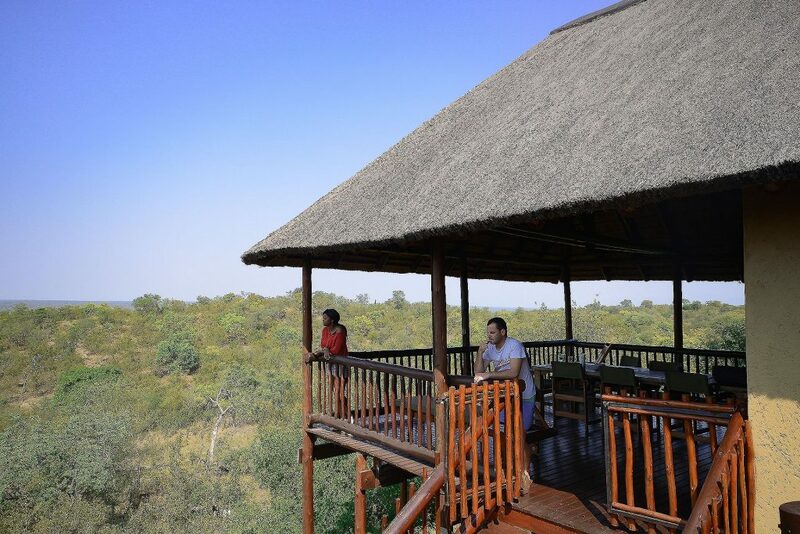 The viewing deck, also used as a dining area, especially for breakfast and lunch. The honeymoon suite opens onto a balcony. Night braai are usually prepared at the boma. On a game drive in the Balule Nature Reserve. 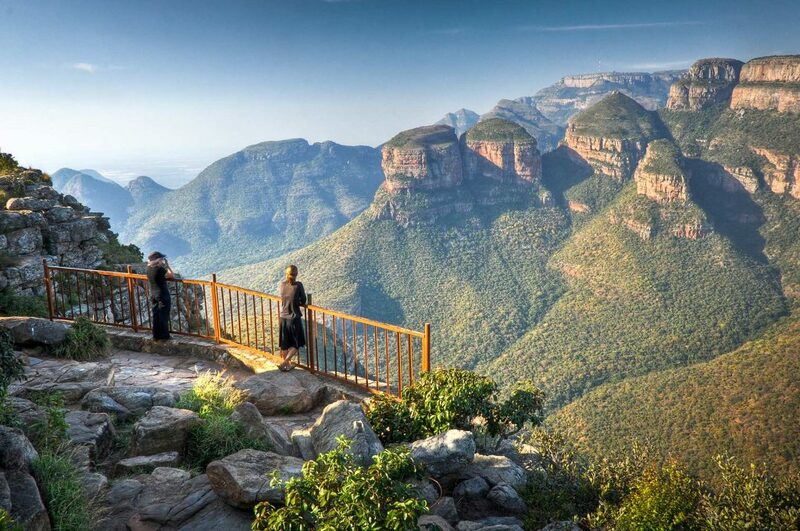 View of the Three Rondavels, one of the most spectacular look out point on the Blyde River Canyon, the third largest in world. On a game drive in the Manyeleti Game Reserve. A lion pride resting in grassy savannah of the Manyeleti Game Reserve, in the early morning. Spotting cheetah is not unusual in the Manyeleti Game Reserve, its habitat being ideal for this large predator. 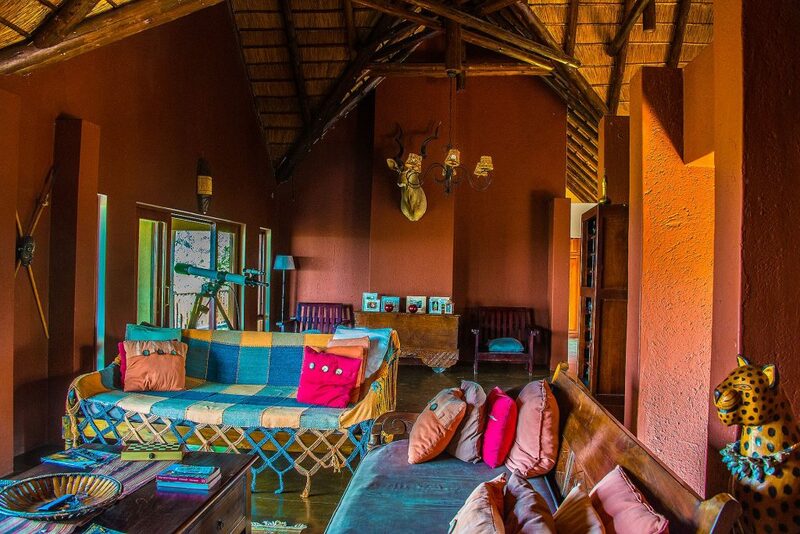 Recently refurbished, Pungwe is an idyllic and secluded bush camp, made of 4 semi-tented chalets, covered by a thatched roof. 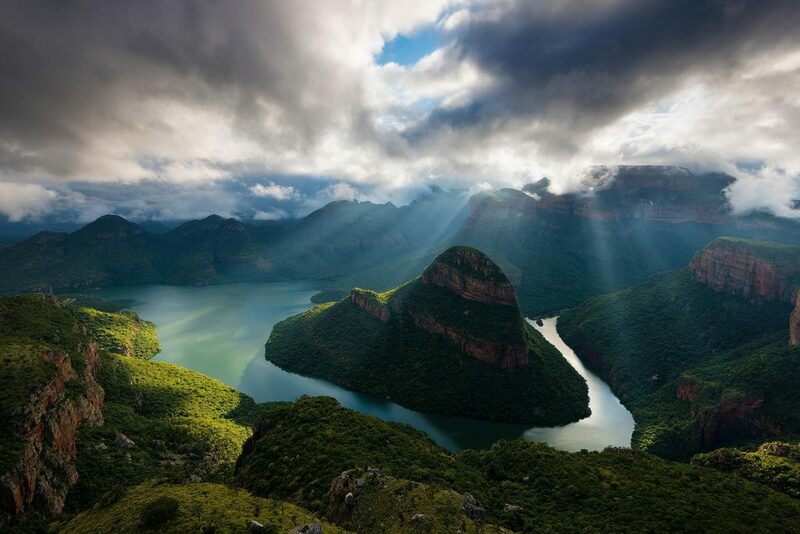 Buffelshoek Camp at dawn. The camp is made of 5 tents covered by a thatched roof and it's the remotest of Manyeleti. Set in a open area, do expect to see big game passing by anytime of day and night. Bush villa (4); bush camp (2). 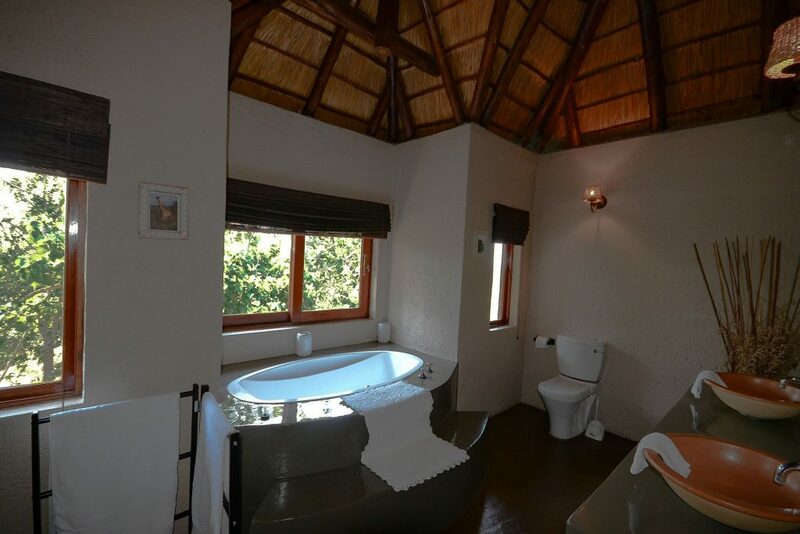 The bush villa is made of 5 rooms, whose 4 en-suite, a wide dining area and lounge, infinity pool and a viewing deck overlooking the savannah. An open safari vehicle is available for game drives. The villa comes with a private Italian chef, a private guide and other staff. Your bush camp in the Manyeleti Game Reserve will be one of the following three, depending on availability: Pungwe, Buffelshoek and Ndzaka. All bush camps have their own special distinctive features. The three of them though are unfenced and with no electric power. Being eco-friendly, your lighting is provided by solar and oil lanterns. However, remember to bring your own torch or head-lamp along. Note: on request, you can spend the 4th night at one of the rest camps of central Kruger, in full board and with no supplement. 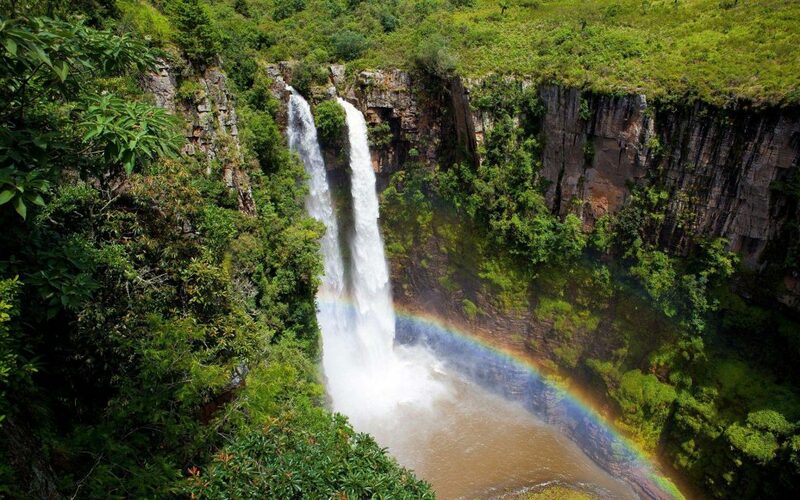 7 nights visiting the game reserves and the beaches of the Isimangaliso National Park. 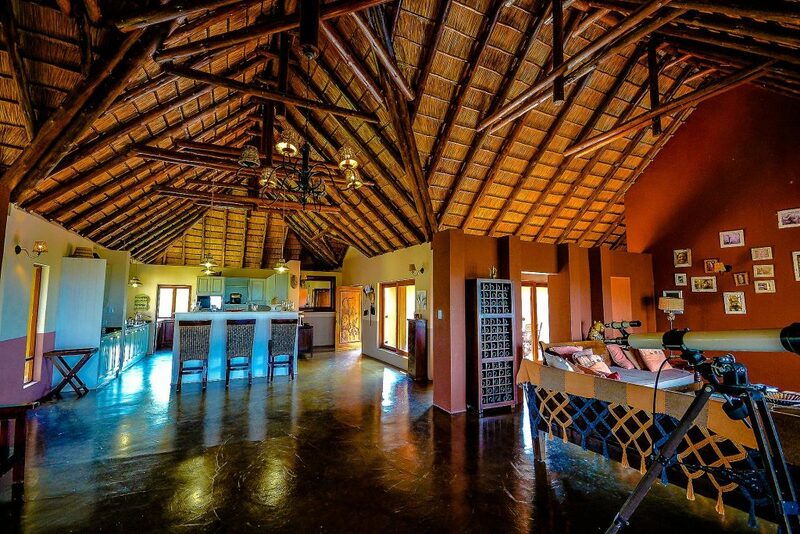 Pick-up at Eastgate Airport in Hoedspruit, and transfer to the Balule Game Reserve, open to Kruger National Park. Game drive in the afternoon. 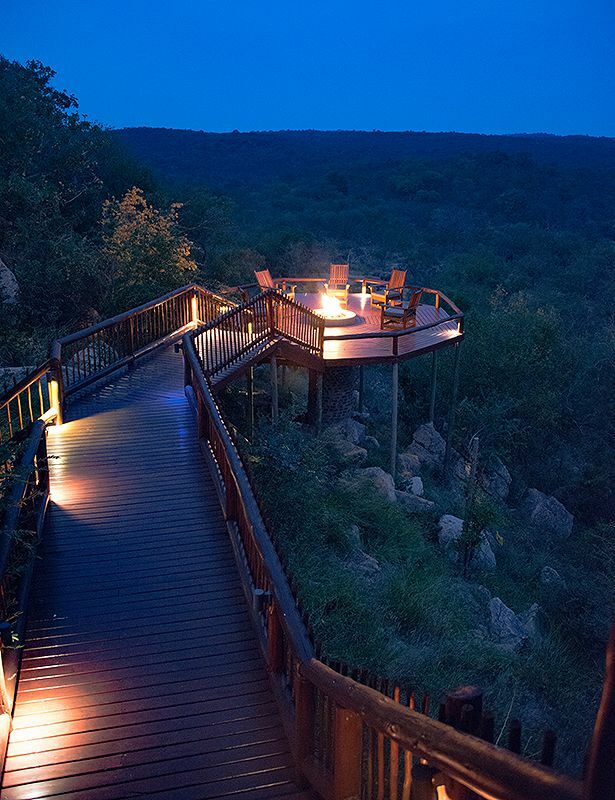 Dinner and overnight at an exclusive bush villa. 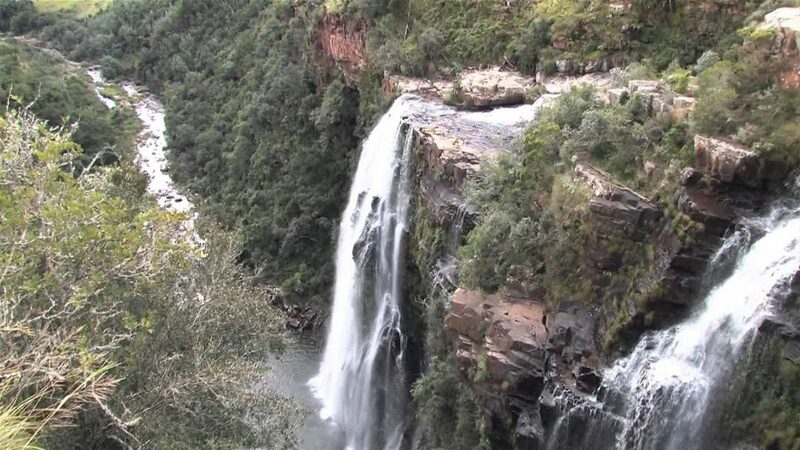 Full day visit to the Blyde River Canyon and the Panorama Route, with stops at the main look-out points: Three Rondavels, Bourke’s Luck Potholes, God’s Window. According to availability, you may also join a boat trip into the canyon. Return to your bush villa for dinner. Morning game drive in the Balule Game Reserve. Lunch at the villa. 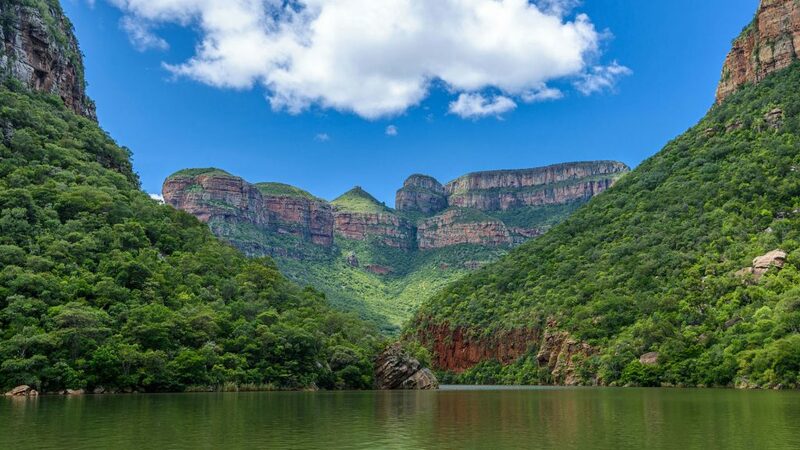 In the afternoon, transfer to the mining town of Phalaborwa for a game drive in the Greater Kruger and a sunset cruise on the Olifants river, with dinner included. 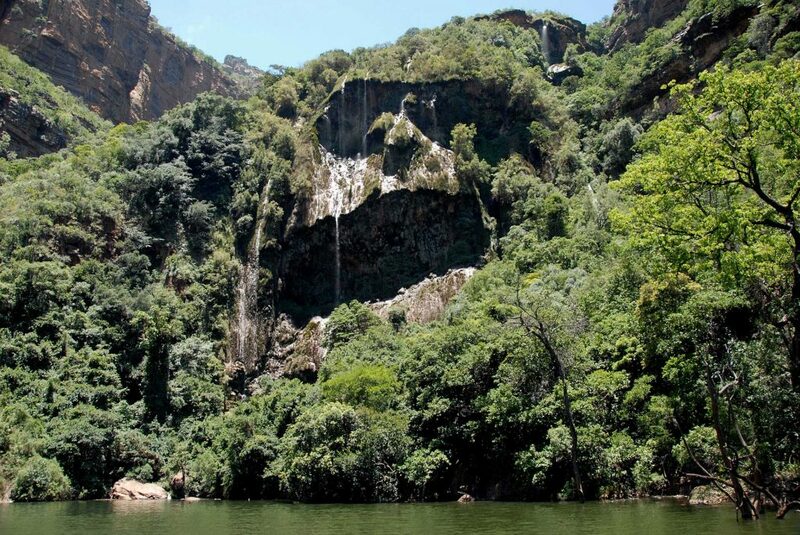 Full day safari in the Kruger NP. We’ll enter from the Orpen gate by the opening time. We’ll drive through the so called “feline area” of the park, for the abundance of big cats, let alone other large predators, as the spotted hyena and the wild dogs. 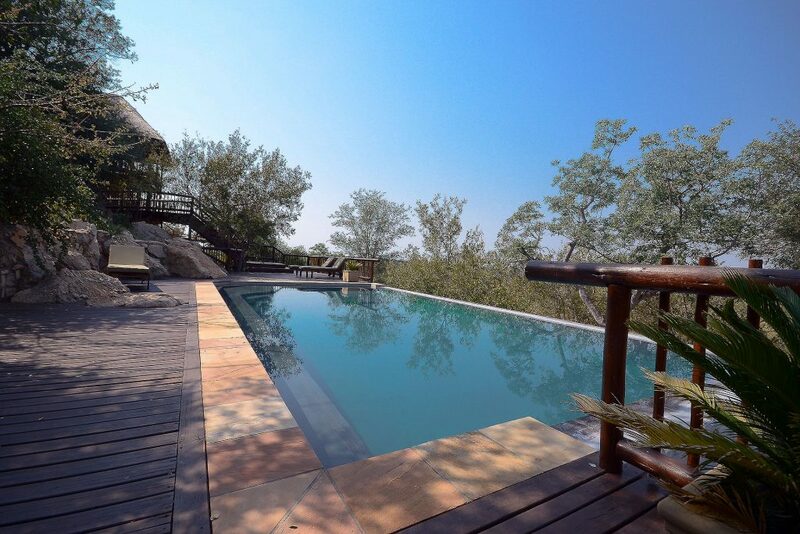 We’ll stop for breakfast at Satara, in the heart of central Kruger. At the reception, we’ll ask our special permit to access a no-entry area of the park, but bear in mind this is subject to the authorization by the park’s management. Only five 4×4 vehicles a day are allowed and no pre-booking is possible. We’ll have a pic-nic lunch will at a designated area, likely on a dry river bed. 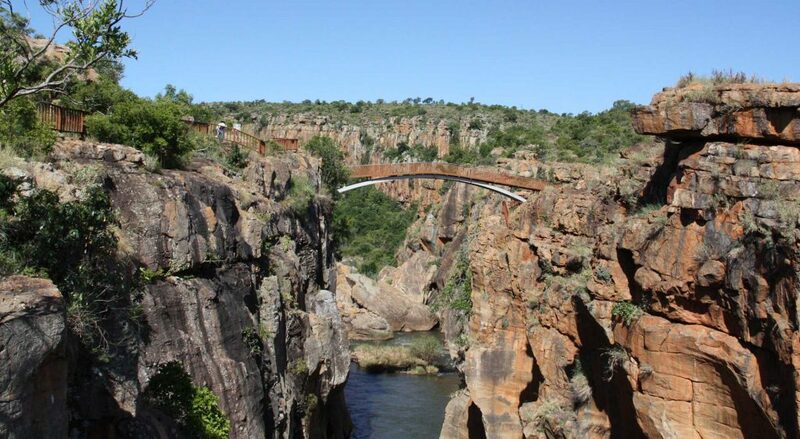 After lunch, we’ll decide whether to return to Orpen gate, driving along the scenic Timbavati road, arguably one of the best gravel roads of Kruger, or to head north to Olifants. In this latter event, we’ll leave the park from the Phalaborwa gate. As an alternative option, you can spend this night inside the park, rather than heading back to the villa. 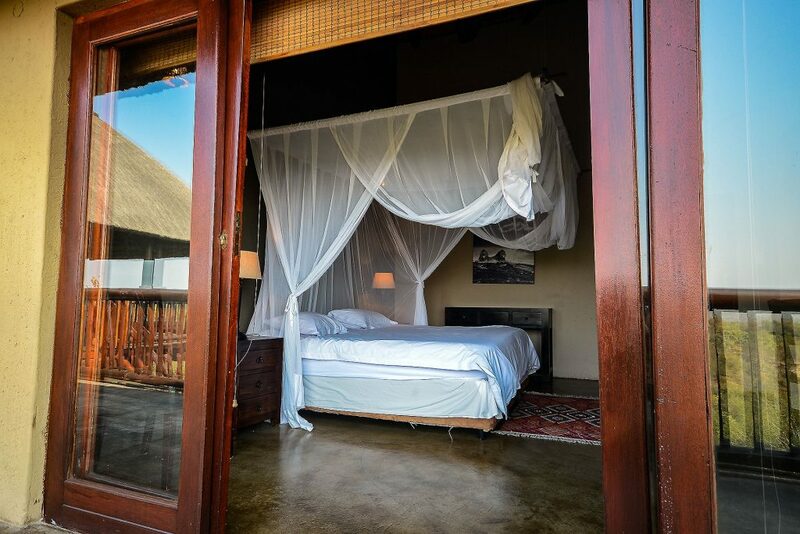 Of course the accommodation will be way more basic but, in return, you can enjoy one more full morning safari inside the park the following day. If you have decided to enjoy one more night at the villa, this morning you can take it easy. You can relax on your verandah, by the pool or enjoy the endless view from the deck. Or else you might visit the famous Kinyonga Reptile Centre and / or the world star Jessica the hippo. After lunch, transfer to the Manyeleti Game Reserve for the afternoon game drive. Dinner and overnight at your secluded unfenced bush camp. 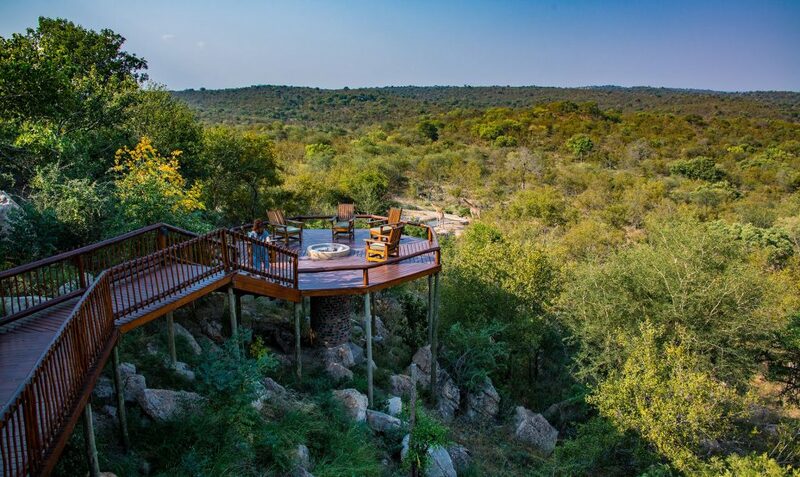 Big 5 safari in the wildest of the Greater Kruger’s private reserves. Game drive by open vehicle in the early morning and late afternoon. All meals at the bus. camp. Last morning game drive, before heading back to the camp for breakfast. After checking-out, transfer to Eastgate or Mpumalanga International Airport to continue to your next destination. The walkaway to the boma from the viewing deck. 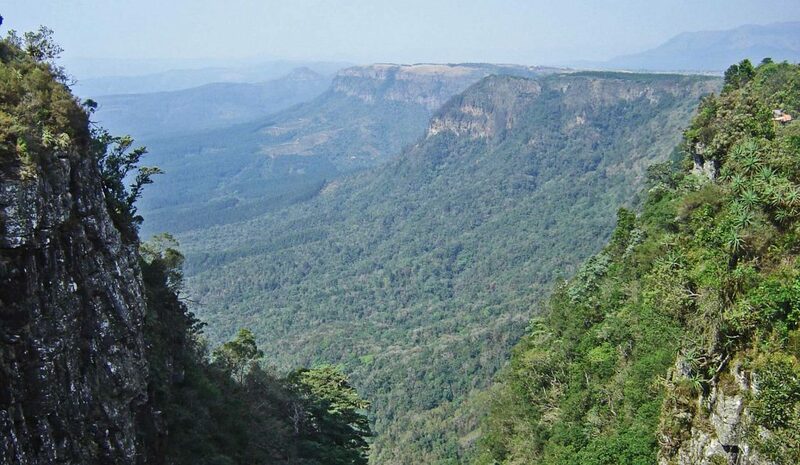 Breathless view over the thick bush of the Balule Game Reserve. The bar corner in the lounge. Infinity pool with a view. Giraffes approaching the waterhole in front of the boma of our bush villa. Fire in the making for the night braai. Sunset over the Balule Game Reserve. One of the suites of the villa. View of the Olifants river (Balule Game Reserve). 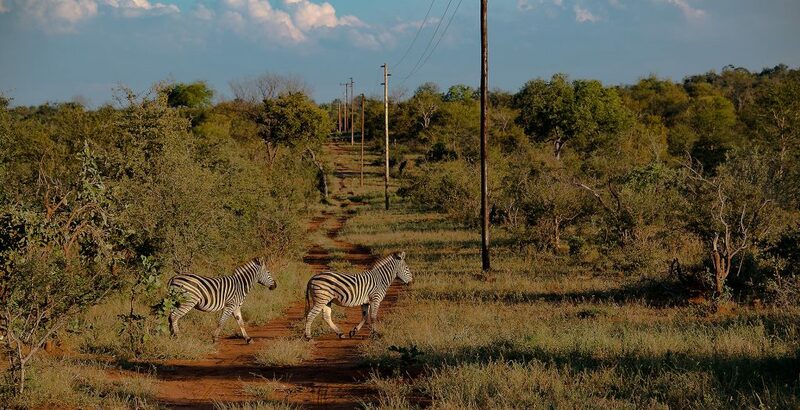 Zebra crossing in the Balule Game Reserve. 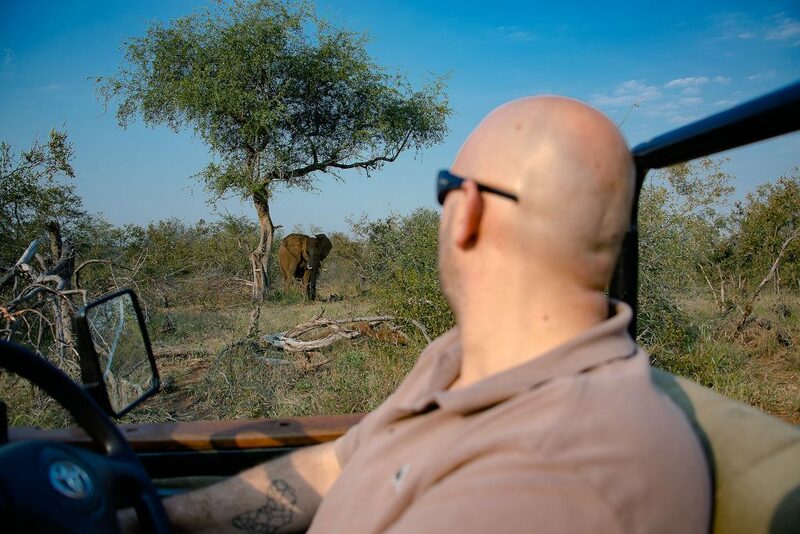 Elephant encounter during a game drive in the Balule Game Reserve. 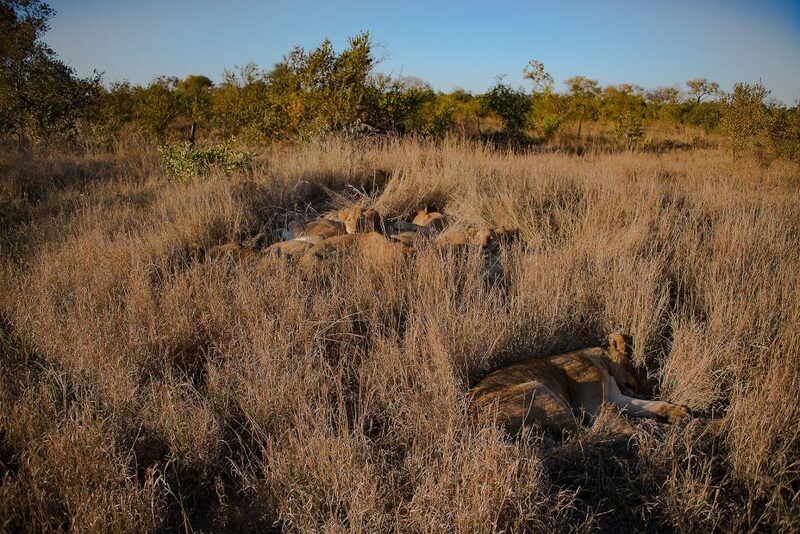 Lion pride resting in the grassy savannah of the Manyeleti Game Reserve. Sundowner in the Balule Game Reserve. Chameleon spotting on a night drive.